Crystal Children’s Choir was founded in the San Francisco Bay Area in 1994. Since then, it has grown into an organization of over one thousand members. Choir members rehearse every week with their respective ages and skill levels in four Bay Area cities – Cupertino, Fremont, Foster City, and San Jose. The choir has toured Australia, Asia, Europe, and North America, and has performed at numerous prestigious venues including St. Peter’s Basilica in Vatican, Taipei National Concert Hall, Sydney Opera House, Davies Symphony Hall, Carnegie Hall, and Beijing Concert Hall. Crystal has been invited to perform at several music organizations such as CMEA, MENC, OAKE, and ACDA (American Choral Directors Association) National Conferences. The choir has won awards and praises in the music festivals they have attended. We aspire to be cultural ambassadors of children’s choral music, especially in the field of Chinese folk songs and newly commissioned works. 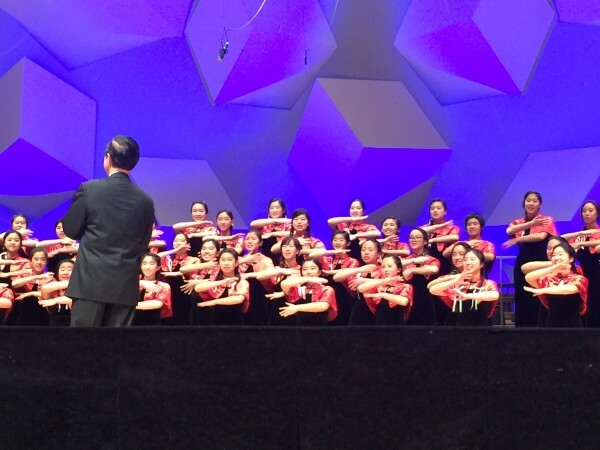 Through a unique musical and life-enhancing education offering to its choristers, Crystal Children’s Choir hopes to nurture teamwork, love of music, and excellence in choral singing among younger generations.